This is a simple example for an RF transmitter and reciever, these come in a couple of flavours the pair I had operate at 315Mhz. 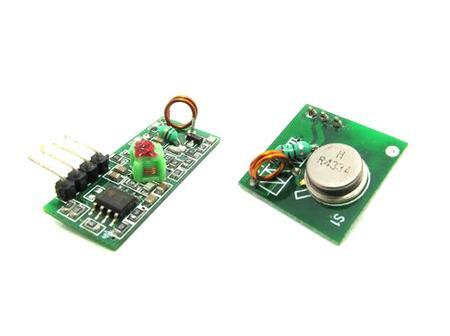 You will need an Arduino to be the transmitter and one to be the receiver. I used a Nano as transmitter and an Uno for receiver. 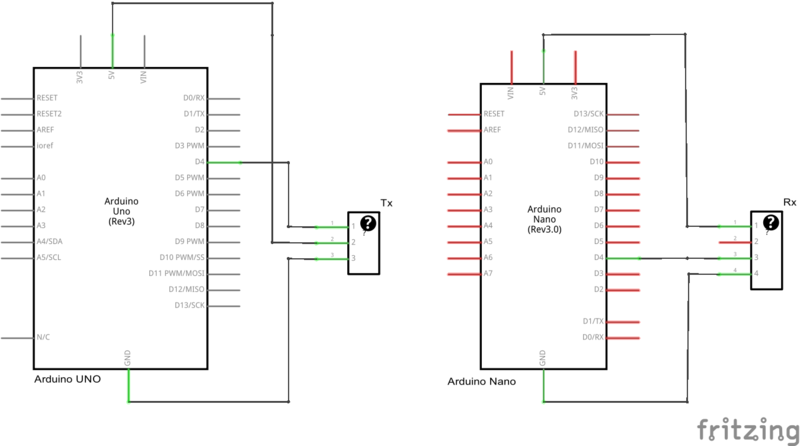 This just made it easier to program the correct Arduino.